Defense News Early Bird Brief for Friday, December 2, 2016. Defense News Early Bird Brief for Thursday, December 1, 2016. Veteran Employment Situation Report (VESR) – December 2016. Please see attached report. Sent in by our good friend and President/CEO of VetJobs, Ted Daywalt, Captain, USNR (Ret). Thanks Ted!  VetJobs December 2016, Veteran Eagle Newsletter, Issue 17:12. Please see attached. The Veteran Eagle is a newsletter for veterans, transitioning military, their family members and friends and supporters of VetJobs. American Legion ONLINE Update for Thursday, December 1, 2016. Reserve Officers Association (ROA) SmartBrief for Friday, December 2, 2016. National Association for Uniformed Services (NAUS) Weekly Update for Friday, December 2, 2016. Maryland Department of Veterans Affairs – Jobs for Maryland Vets for December 2, 2016. Piliero/Mazza, PLLC, Attorneys At Law Weekly Report for December 2, 2016. Relative scoop in here we Veterans doing business with the federal government. DOD Contracts Awarded on Friday, December 2, 2016. DOD Contracts Awarded on Thursday, December 1, 2016. Stars and Stripes Report: Mattis is Trump’s choice to be secretary of defense. Retired Marine Corps Gen. James “Mad Dog” Mattis has been selected to become the next secretary of defense, The Washington Post reported Thursday. The choice would bring a seasoned, widely respected battlefield commander and strong critic of Iran and Russia to the military’s top civilian position. Military Times More veterans join Trump’s advisory team on defense. Three more veterans have joined President-elect Donald Trump’s defense transition team as the future Pentagon continues to take form. NextGov Trump Appoints Legislative Cyber Leaders To Transition Team. President-elect Donald Trump today named a trio of congressional cyber leaders to his transition team, including House Intelligence Chairman Devin Nunes, R-Calif. The Hill GOP senators want to amend Saudi 9/11 bill. GOP Sens. John McCain (Ariz.) and Lindsey Graham (S.C.) are rolling out an amendment to a law allowing the families of 9/11 victims to sue Saudi Arabia in U.S. court. Defense News NDAA Installs Major Structural Reforms to Pentagon. If passed, the NDAA will codify the biggest changes to the Department of Defense since Goldwater Nichols. Stars and Stripes First female soldiers graduate armor officer course. Thirteen recently commissioned female Army officers graduated Thursday from the Basic Armor Officer Leadership Course at Fort Benning, becoming the service’s first female armor officers. Associated Press Fort Carson prepares for massive deployment to Europe. Fort Carson is getting ready for its largest deployment of troops to Europe since the Cold War. Army Times Army converts 3rd Infantry Division brigade from infantry to armored unit. The 3rd Infantry Division’s 2nd Brigade Combat Team will start converting into an armored brigade combat team next summer, the Army announced Wednesday. WTAJ Marine Corps Reserves collect Toys for Tots. The year long process collects toys across the region to be distributed to children in need. USNI News USS Zumwalt Soon to be Underway After Repairs. USS Zumwalt (DDG-1000) is preparing to leave port following several days of repairs after breaking down in the Panama Canal, service officials told USNI News on Wednesday. Stars and Stripes Navy’s troubled Littoral Combat Ship at crossroads, GAO says. The U.S. Navy’s Littoral Combat Ship program “stands at a crossroads,” as the service prepares to ask Congress to authorize spending as much as $14 billion to buy more of the troubled vessels, congressional auditors say. Air Force Times New Air Force dress blue shirt, maternity ABU on the way. The Air Force plans to roll out an updated blue uniform shirt and a new and improved maternity Airman Battle Uniform in the coming months, officials said. NPR (Audio): Senators, Military Specialists Say Army Report On Dismissed Soldiers Is Troubling. Soldiers who receive a general discharge get access to medical care at the VA, but they lose their education benefits under the GI Bill – one of the main incentives for people to join the service. In addition, a general discharge can hurt their chances of getting good jobs. Stars and Stripes: Tennessee Republican named chairman of House Veterans’ Affairs Committee. Roe has served on the House Veterans’ Affairs Committee since he was elected to office in 2009. He served as a captain in the U.S. Army Medical Corps from 1973 to 1974 and later trained at a Department of Veterans Affairs hospital in Memphis. As an OB-GYN at his private practice, he coordinated with the VA to treat its patients. Stars and Stripes: Lawmakers introduce bill forcing VA to present Congress with detailed improvement plans. Responding to a report released in October that found the Department of Veterans Affairs has been slow to make changes after the 2014 wait-time scandal, two lawmakers have introduced legislation to force the VA to speed up reform. Rep. Derek Kilmer, D-Wash., and Rep. Dan Newhouse, R-Wash., introduced the VA Management Alignment Act of 2016 to the House on Wednesday. Daily Press (Video): With changes swirling in Veterans health care, senators press for action on stalled projects. With President-elect Donald Trump eying an overhaul in veterans health care, 18 senators are urging quick action from the lame duck Congress on two dozen stalled VA projects, including a major one in Hampton Roads. Virginia Sens. Mark R. Warner and Tim Kaine joined 16 of their colleagues Thursday in calling for Congress to set aside funding for a list of health care centers, outpatient clinics and research facilities proposed throughout the Veterans Affairs system. Atlanta Journal-Constitution: Atlanta whistleblower to Trump: Address ongoing “nightmare” in VA’s systems. An Atlanta-based whistleblower who helped expose failures in the VA’s national health enrollment system called on President-elect Trump to appoint a strong executive to fix the troubled agency. Scott Davis, a communications official at the national Health Eligibility Center headquartered off Clairmont Road in DeKalb County, wrote to the incoming president in an open letter published this week in the Washington Examiner newspaper. Boston Herald: Sarah Palin emerges as new rival to Scott Brown for VA post, Has Steve Bannon’s backing. Sarah Palin has emerged as a strong last-minute candidate for secretary of Veterans Affairs, reportedly with the backing of President-elect Donald Trump’s chief strategist Steve Bannon, in a race for the coveted post that Scott Brown is also fighting for. The sudden appearance of the former Alaska governor and 2008 vice presidential candidate adds to a public parade of candidates being considered to manage the sprawling Department of Veterans Affairs. New York Daily News: Sarah Palin isn’t qualified to lead VA. “Trump’s candidacy has exposed, not just that tragic-that ramifications of the betrayal of a transformation of our country,” Sarah Palin said during her endorsement of Donald Trump, “but, two, he has exposed the complicity on both sides of the aisle that has enabled it, okay?” If that passage doesn’t make sense to you, you’re not alone. It’s literally a string of unconnected words, delivered by a powerful person in front of a large crowd, during an important speech. USA Today: Elizabeth Warren endorses Scott Brown for VA Secretary. Former Massachusetts Sen. Scott Brown has an unlikely supporter in his quest to be the Secretary of Veterans Affairs in President-elect Donald Trump’s cabinet — Elizabeth Warren. The Massachusetts senator — who beat Brown in the 2012 Senate race — said she’d support the Republican if Trump chooses him for the post. Politico: Elizabeth Warren throws support behind Scott Brown for VA Secretary. Former Massachusetts Sen. Scott Brown, whose name has been floated as a possible pick to lead the Department of Veterans Affairs for President-elect Donald Trump, can count on the support of his former rival, Sen. Elizabeth Warren. Warren (D-Mass.) said Thursday in an interview on Boston public radio station WGBH that she would endorse Brown, the man whom she unseated from the Senate in 2012 after a nasty campaign, if Trump were to pick him to lead the VA.
NPR (Audio): Trump Transition Team Holds ‘Listening Session’ With Veterans Groups. President-elect Trump’s transition officials have scheduled a “listening session” for Thursday with veterans advocates, including the American Legion and other groups. It’s playing out following big promises by Trump to overhaul the workings of veterans care in the U.S. and continuing discussion about his potential appointment to run the Department of Veterans Affairs. Government Executive: Trump Transition Team Meets With Veterans Group to Discuss VA Reforms. President-elect Donald Trump’s transition team met with leaders in the veteran community for the first time on Thursday, with the two sides amicably discussing the organizations’ goals for reforming the Veterans Affairs Department. Six Trump advisers, including some but not all of the individuals he named to his VA landing team, met with representatives of more than 30 veterans service organizations at the American Legion office in downtown Washington, D.C.
Military Times: Trump VA moves already hint at major shakeups for the department. President-elect Donald Trump hasn’t finalized his pick to become Veterans Affairs secretary, but his choice of advisers indicates a radical overhaul to veterans’ health care is in the works. Changes at VA could have long-reaching effects on the national debate surrounding the size of federal bureaucracies and the public’s responsibility for the long-term wounds of war. On Tuesday, Trump met with Fox News personality Pete Hegseth to discuss an unspecified post within the next administration. The Washington Post: To keep promises to Veterans, Trump taps Koch-backed group. President-elect Donald Trump is leaning on a once-obscure group backed by conservative billionaires Charles and David Koch as he seeks to make good on a campaign promise to overhaul veterans’ care programs he has denounced as a tragic failure. Concerned Veterans for America (CVA), founded just four years ago, has little connective tissue with other veterans groups, whose membership-heavy organizations have long dominated policy discussions in Washington. McClatchyDC: Here are 4 government programs Trump’s team wants to privatize. Trump’s transition is being advised by Concerned Veterans for America, a small, conservative organization backed by billionaires Charles and David Koch, who have long supported privatizing veterans’ healthcare. Trump reportedly met with Pete Hegseth, who served as the group’s CEO until January this year, about the job of Secretary of Veterans Affairs. Napa Valley Register: Canine Companions launches pilot program to benefit Veterans. Rep. Mike Thompson and Santa Rosa-based national non-profit Canine Companions for Independence held a press conference Tuesday to highlight the recent launch of a pilot program through the U.S. Department of Veterans Affairs that offers service dog benefits to veterans with mental health diagnoses. WJBF (ABC-6, Video): VA program creates foster home for Veterans. The VA’s Medical Foster Home Program is an adult foster home for veterans. The program, which is managed locally by Charlie Norwood VA Medical Center, dates back several years ago. New coordinators are working to revamp the program and get the word out to those who may have never heard of it. Stars and Stripes Veterans’ group criticizes vets joining pipeline protest . Some military veterans in North Dakota disagree with the 2,000 veterans planning to join a protest opposing the four-state, $3.8 billion Dakota Access pipeline. Military Times For vets, by vets: Holiday Gift Guide 2016. Trying to figure out what to do about the hard-to-shop-for veteran on your list? Looking for the perfect gift to ship to your far-flung family member still in uniform? Just need a break from holiday stress and want to curl up with your DD 214, or a blanket that looks like one? Military Times Congress drops plans to make women register for the draft. Lawmakers have officially dropped plans to make women register for the draft, instead opting for a review of the ongoing need for the Selective Service System. Stars and Stripes Frelinghuysen poised to take the gavel of House Appropriations. The last time Rep. Rodney Frelinghuysen popped into the spotlight was when the congressman — 61 at the time — chased down a 19-year-old pickpocket who’d mugged him in Georgetown, and held the thief until the police arrived. Stars and Stripes Defense bill could waive bonus repayments for California Guard soldiers. Thousands of California National Guard soldiers faced with repaying wartime re-enlistment bonuses could get some financial relief from an annual defense policy bill unveiled Wednesday by Congress. Stars and Stripes American-made footwear mandate part of Defense authorization bill. The final version of the National Defense Authorization Act includes a provision to require the Department of Defense to provide military recruits with American-made shoes. New York Times French Election Hints at a European Shift Toward Russia. The victory of François Fillon in France’s center-right presidential primary is the latest sign that a tectonic shift is coming to the European order: toward accommodating, rather than countering, a resurgent Russia. Washington Examiner House votes to strengthen cyber ties with Israel. The cybersecurity bills have the practical and diplomatic significance of forging another connection with Israeli Prime Minister Benjamin Netanyahu’s government. Military Times Tricare patients’ deadline to switch pharmacy is Dec. 1. Tricare patients who now use CVS should transfer their prescriptions to another pharmacy in the Tricare network, because if you have a prescription filled at a CVS pharmacy after Dec. 1, you’ll pay full retail price. Colorado Springs Gazette Fort Carson brigade prepares for massive move across the Atlantic Ocean. Brigade soldiers have been working since early November to load their gear on trains, including spare parts to repair broken tanks, field kitchens, ambulances and tow trucks. DefenseOne A Glimpse At How the F-35 Will Help the Marines Storm the Beach. In a California demonstration, the short-takeoff fighters escorted troop-carrying V-22s into simulated hostile territory. The National Interest For the First Time Ever, the F-35B Takes-Off at Sea With Full Weapons Load and Drops Live-Bombs. The aircraft flew from the Navy’s first America-Class Amphibious Assault Ship, the USS America, to Yuma Proving Grounds, Ariz., where it dropped live precision guided weapons on mock targets in the desert. Voice of America Air Force Not Able to Fly Enough Flights to Train Pilots. As the U.S. military continues to rely heavily on air power in its combat missions abroad, a shortage of maintainers needed to keep Air Force planes flying is preventing the force from completing its training mission. Military.com Coast Guard Apprehends Most Cuban Migrants in Decade. In the wake of the reopening of the U.S. Embassy in Cuba and political uncertainty about the future of immigration policy, the Coast Guard has seen a dramatic increase in interdictions of Cubans trying to enter the States illegally from the sea. The Hill: Veterans urge Obama, Trump to pardon thousands. A group of veterans is urging President Obama and President-elect Donald Trump to pardon thousands of post-9/11 veterans who were given less-than-honorable discharges for behavior related to mental health issues. Advocates say thousands of veterans have received “bad discharge papers” as a result of behavior associated with post-traumatic stress disorder (PTSD), traumatic brain injury (TBI) or military sexual assault. Task & Purpose: Advocacy Group Calls On Obama To Pardon Post-9/11 Vets With ‘Bad –Paper’ Discharges. The veteran service organization, Vietnam Veterans of America, penned an open letter to President Barack Obama and President-elect Donald Trump, calling on the former to pardon all post-9/11 veterans who were discharged under less-than-honorable conditions without the due process of a court-martial. Military Times: Could Trump pock Sarah Palin to lead VA? Speculation over President-elect Donald Trump’s pick to become the next Veterans Affairs Secretary centered on a surprise name Wednesday: Former Alaska Gov. Sarah Palin. Palin, the 2008 vice presidential nominee, is the mother of an Army veteran, and if selected would become both the first woman and first non-veteran to hold the post. CNBC: Trump may consider Sarah Palin for VA Secretary, source tells NBC. Sarah Palin is interested in becoming Veterans Affairs secretary and may be considered for the position, a source close to the former Alaska governor told NBC News. President-elect Donald Trump’s transition team has been in touch with Palin, raising the possibility that it could consider her for the post, the source told NBC. Politico: Trump considering Palin to lead Veterans Affairs. Donald Trump is considering tapping former vice presidential candidate Sarah Palin as his secretary of Veterans Affairs, according to two Trump transition sources. Palin was an early endorser of Trump, throwing her support to him before the Iowa caucuses, making her one of his highest profile backers at the time. “Are you ready for the leader to make America great again?” she said then. National Review: Trump Needs To Take The VA Secretary Job Seriously. A thorough housecleaning is long overdue at the VA, as both parties on Capitol Hill have recognized. And unlike many other issues, providing healthcare for military veterans is fundamentally the responsibility the Executive Branch of the federal government. That’s true even if you think a component of any fix should be some kind of quasi-privatization like a voucher system. The VA hospitals aren’t going to disappear overnight. Boston Herald: Veterans Affairs leader must be more than political ally. In just about every one of his campaign rallies, how many times did we hear Donald Trump pledge, “We’ve gotta take care of our veterans, folks.” Now the former host of “Celebrity Apprentice” and future host of the White House is floating the names of Sarah Palin and Scott Brown, two of the most attractive and vacuous cabinet suggestions ever, for the post of secretary of Veterans Affairs. KELO (CMN-1320, Video): Sen Rounds claims A stiffing Vets on emergency care bills. South Dakota U.S. Senator Mike Rounds (R) is blasting the VA for still refusing to pay for emergency care for veterans at non-VA medical facilities. In his U.S. Senate floor speech on Wednesday, Rounds highlighted the case of 90-year-old Korean War Veteran Alfred Dimmick of Rapid City. He said Dimmick was twice taken to non-VA facilities for possible heart attacks, because emergency responders didn’t want to take a chance with the longer drive to a VA facility. South Dakota Public Broadcasting: VA Secretary Visits Hot Springs. Secretary of Veterans Affairs Robert McDonald says he has yet to make a decision whether to close the VA facility in Hot Springs. McDonald took a tour of the hospital Wednesday morning. McDonald’s visit comes after an Environmental Impact Statement says the VA prefers to close a major part of the facility and move many services to Rapid City. Stars and Stripes: VA faces budget, workforce challenges in reforming pain management practices. The family of Marine Corps veteran Jason Simcakoski, whose death sparked national debate on opioid overuse and led to mandated reforms within the Department of Veterans Affairs, was in Washington again on Wednesday to make sure the VA was following through. Simcakoski, who had sought treatment for anxiety attacks, died in August 2014 from a toxic reaction to 13 medications. WFTV (ABC-9, Video): ‘Home away from home’ breaks ground at Orlando VA hospital. Officials in Lake Nona put the ceremonial shovel in the ground Wednesday, officially starting the construction process on free housing for veterans and their families receiving care at the Orlando VA Medical Center. The Fisher House is being built next to the hospital and should be complete in the next year. Heavy Duty Trucking: FMCSA Seeks Comment on Alternative Medical Certification for VA Physicians. The Federal Motor Carrier Safety Administration is seeking public comment on a proposed amendment to the FMCSR that would establish an alternative certification process for Department of Veteran’s Affairs physicians. FCMSA wants to establish an alternate process for qualified physicians employed in the VA to be listed on the agency’s National Registry of Certified Medical Examiners. The Virginian-Pilot: Chesapeake barber school received millions to teach Veterans, instead the director was defrauding the VA. Students at William Grobes IV’s barber school had a motto: “We’re here to earn, not to learn.” From October 2011 through September this year, the College of Beauty and Barber Culture in Chesapeake collected $4.5 million from the Department of Veterans Affairs under the Post-9/11 GI Bill. Veteran students enrolled there collected $10.5 million more – for housing allowances, books and supplies. But the school was defrauding the VA, federal prosecutors say.